KeysDAN was brought into this world kickin' and screamin' by way of Miami, Florida on the 31st day of January in a year not too long ago. Shortly thereafter an itch was developed for getting attention. That itch got bigger. In 1986 "KeysDAN" was conceived (Although he was then known as "Dancin' Danny G"-I Won't tell if you won't). Attending Broward Community College was an experience that took South Florida by storm. DJing several... er... um... shall we say "frat parties," KeysDAN developed a knack for getting the crowd moving. He then took some communication classes and was on his way to a brilliant career as a Professional Broadcaster. First DJing on WKPX 88.5 in Ft Lauderdale in the late 1980's for a while, he then added Videography to his Repertoire. He Then went on, in addition to weekends spent hosting various functions, to WFKZ Sun 103.1, Key Largo, doing voice-over work for commercials in the early 1990's. KeysDAN got an internship with WKIS 99.9 Kiss Country, Miami, in the promotions department. That was a fine learning experience. 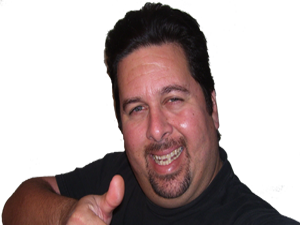 In 2005, KeysDAN has had the pleasure of working for one of the oldest radio stations in South Florida, WVCG AM 1080 - "The Voice Of Coral Gables". It is like working in a piece of history. 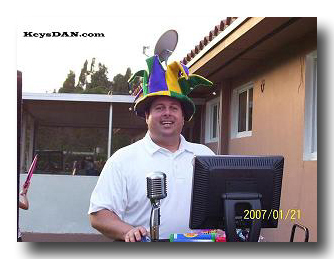 At the end of 2005, KeysDAN can be found back on familiar territory at WFKZ Sun 103.1, Key Largo. Known as "KeysDAN the Jungle Man," he is traveling throughout the Florida Keys with a 30 foot gorilla known as "King Konk." 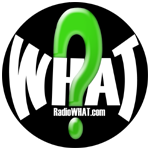 Stay tuned to WFKZ Sun 103.1, Key Largo for more details. Also, listen for KeysDAN on WCTH Thunder Country 100.3, Key Largo, particularly on the NASCAR races. Listen for KeysDAN on WPIK Radio Ritmo 102.5, Summerland Key. 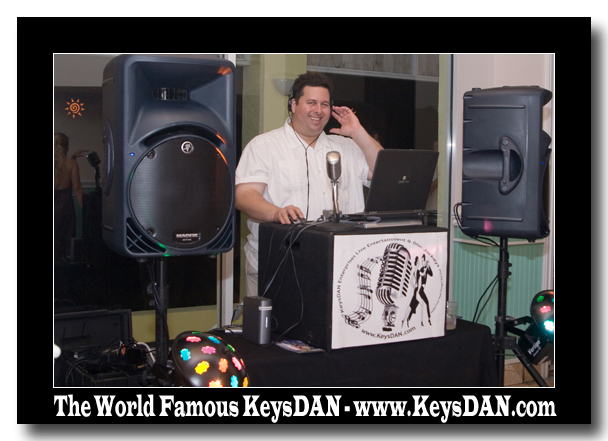 KeysDAN's commercials on WPIK Radio Ritmo 102.5, Summerland Key. 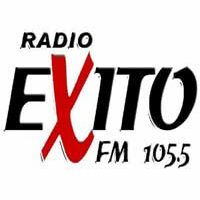 Listen for KeysDAN on Radio Exito 105.5 FM, Islamorada. It's a nice station for listening to all day long. 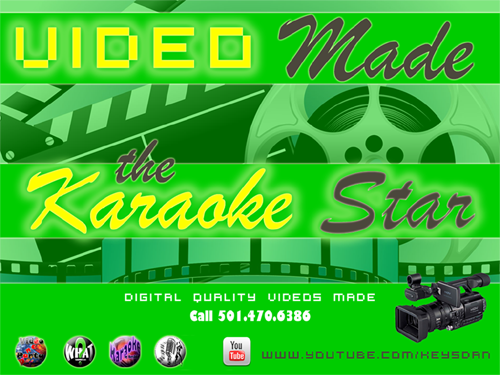 Nearly every weekend and many weekdays you can find KeysDAN rockin' the mic at various events. Let him help Make Your Next Thing A BIG One!